Despite numerous threats against him, he continued to teach the word of Christ and support men, women, and children in need with the hopes that they would peacefully join his anti-Mafia mission. Legend is, the day he was gunned down in front of the church where he preached, he said to his killers, “I’ve been expecting you.” Six men are currently serving life sentences for his murder. 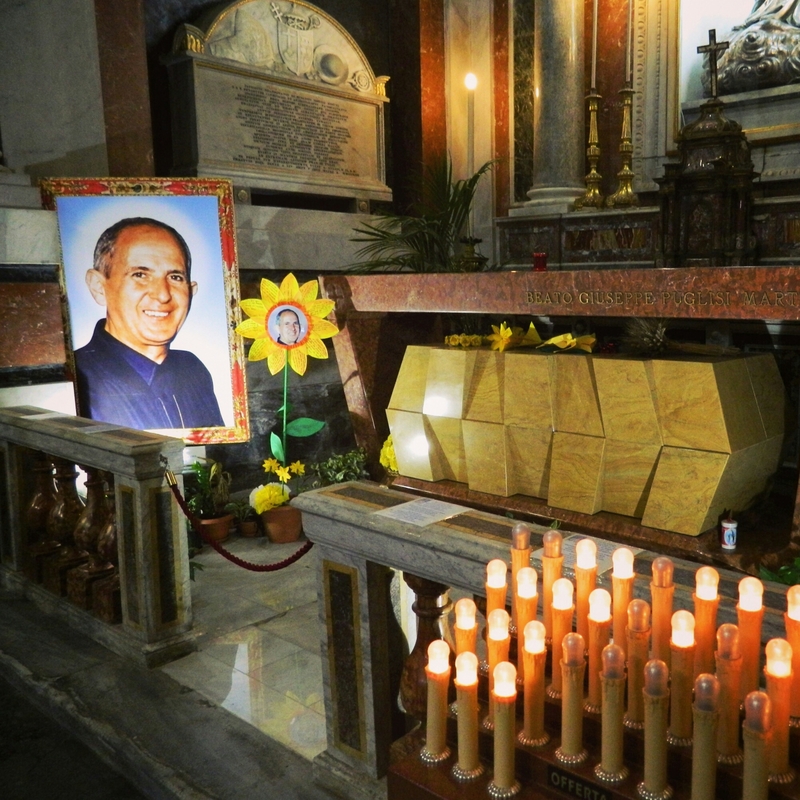 Blessed Father Puglisi was declared a martyr by the Catholic Church and beatified on May 25, 2013, when more than 50,000 people attended the ceremony.